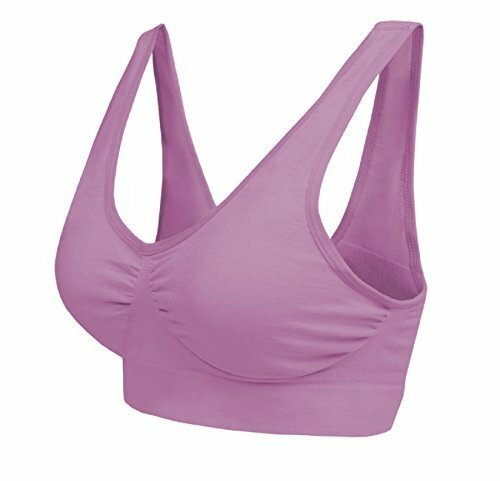 Category: Marielle Bras.Tags: ahh bra, genie bra, Marielle 1 Pack Bra Size XL, Marielle 1 Pack Padded Seamless Sport Bra, Marielle 3 Pack Seamless Comfort Shapewear Bra, Marielle 4 Pack Bra Ultimate Comfort Bra. Everyday Use – Flawless look, Smooth Feel, Perfect Comfort Beauty Bra® is a registered trademark. What Makes The Beauty Bra So Comfortable? The Beauty Bra is made of a woven, comfortable stretch fabric giving you that wonderful seamless & tagless design. The fabric is a unique blend of 96% Nylon and 4% Spandex giving an amazing 4-way stretch and a super soft feel. Key Features and Benefits:- Maximum coverage ideal for under low cut tops and dresses. Gives you the support you need with no under wires, no hooks, no adjusting straps and no hassle. The Beauty bra’s secret is in the circular knit, comfort stretch fabric that custom conforms to any size and never loses its shape. It’s great for expectant mums and makes the perfect sleep bra. Wide comfort lift band eliminates the need for under wires. Designed to move to your shape without losing its form. It’s like having your very own custom made bra. Doubles as a camisole too for a smooth, stylish appearance.